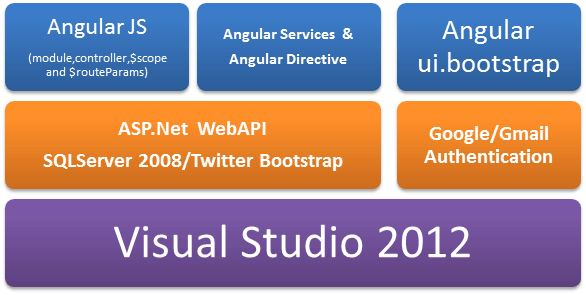 In this article, you will learn how to develop Book My Seat Application in AngularJS and ASP.NET. Here, I’ve merely thought to write my thoughts about hands-on Angular. 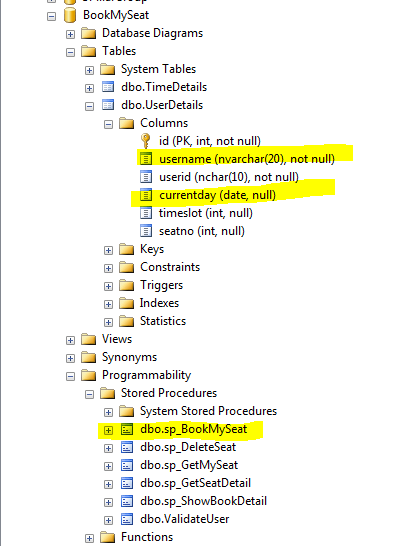 This is the third article, which states that you can manage the database and stored procedures. This is the technology stack for BookMySeat library Application, as shown below. In the first article, I have shared the technology and other brief information about the components used. This article elaborates about the database structure, which will be used within this Application, as given below. If you look at the image shown above, all the columns names are self-explanatory. Kindly find the complete script for the database, as given below. I have also attached SQL script as an attachment also. After installing the database at your local machine, you can verify an application API integration with the database, using fiddler. As soon as you execute it jumps into API controller and executes the written code. 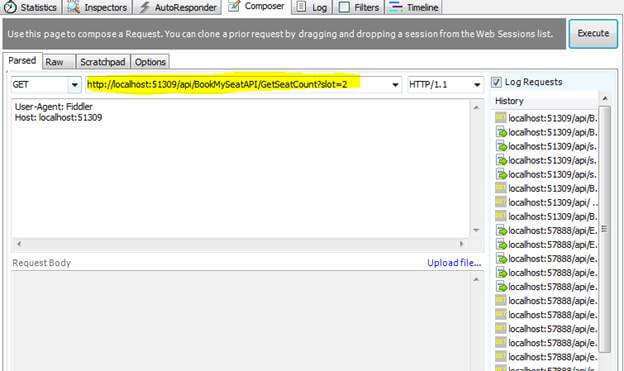 This is how you can verify all the defined WebAPI code, using specific URLs.